Williams Tree Farm has been family owned and operated for over 60 years. The farm was purchased in the 1940's by Carlton and Amelia Williams and their son Wayne. Originally a dairy and hog farm, timbers were harvested from the farm and sawn for what was known as The Wagon Wheel, a historic resort located in Rockton,IL. To replace those trees and for good stewardship of the land, the trees that we harvested where replaced with seedlings. When a winter storm occurred and Christmas trees where in short supply, some of those seedlings were harvested to meet that demand. Thus a new business was born. 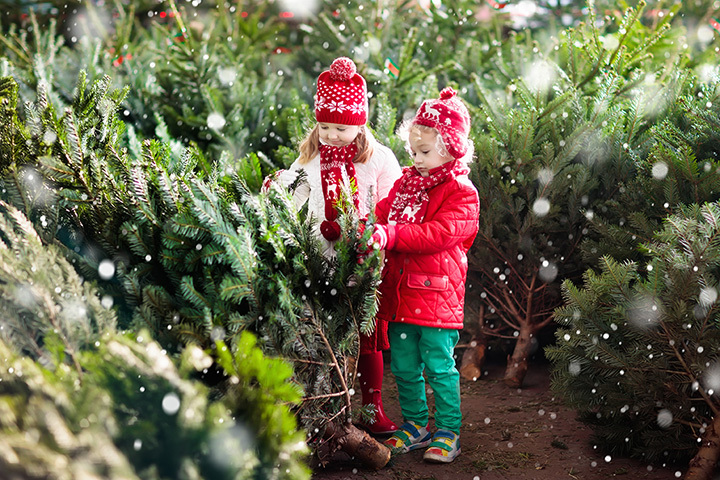 Christmas tree production was the focus for decades, with the farm shipping trees to local areas as well as sites in the suburbs of Chicago, but as the families began to look for experience based purchases, Williams Tree Farm led the industry in becoming a choose and cut farm. Now more then ever, making memories is what we are all about.